There are two critical things to know. This means that if you're not sure if you want to race, but you want to keep the option open, you need to at least order a jersey! Re-order items will be shipped directly to you in the middle of March, the week before the Granite Bay race. If you need a loaner/older jersey for the Ft Ord race, talk to me! Voler sponsors us with a NICA discount, which helps keep the cost down. A basic kit (jersey and bib shorts) usually costs about $160. How much it costs exactly depends on what exactly you order. The prices in the Voler custom order link reflect the discount. 1) Pro Jersey, race cut, with no "extras". Pro Tip - don't check the "national champion" box unless you actually are one! 3) a LOT of people get a Wind Jacket too! For about $65 they're very sharp and super useful. We normally get a “fit kit” from Voler for a couple of weeks in late November for you to try things on in person. That time has passed, so now if you want to try something on talk to the team director and we'll try some spares/used stuff from prior years on you and hopefully get things close enough. Also here are the descriptions of the latest styles offered in the Voler Custom Product Catalog, that can help a lot, as well as Voler's sizing charts. What do the kits look like? Here are some pictures of our 2018 (last year's season) kits for reference. Yes, we also have pink team socks available for $10 a pair, just ask the team director he's got a box of them somewhere. 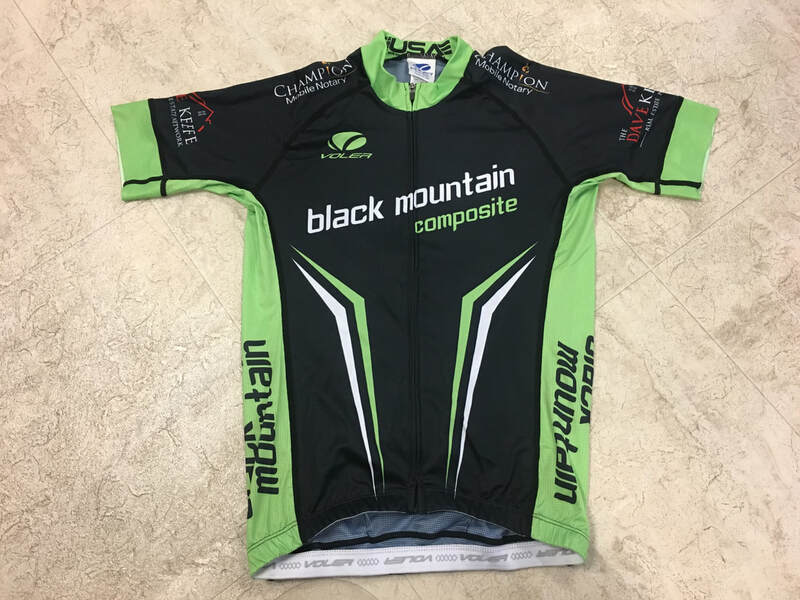 ​Here is our 2019 Kit Prototype. We're just changing the jersey, we plan to leave the shorts the same. And no, it won't be pink like the socks, it'll be the same green as previous years. The pink was just an urban myth. Everything else that you might want to know about kits. Do I need a full kit? At a minimum you need a team jersey to race with the team, so you don’t technically need the matching shorts or bibs. While there will always be a few racers out there in baggies or plain black shorts, most of the other riders on our team and on other teams will have the full kit. It is more comfortable and it looks really sharp. Let us know if the kit cost is an issue for you, we have some funding available to help. Can I use last year’s kit? Yes you can, but it’s not recommended. We like you to be wearing the current sponsors, and last years stuff will always look faded and worn compared to a new kit. Also, it’s really smart to have a second kit in case something happens to one of them. Most kids wear their prior year's kits to practices and race in the new kit. Let us know if kit cost is an issue for you. What about a jacket or vest? We’ve ordered the wind jacket, the thermal jacket, and the rain jacket before. I highly recommend the wind jackets, they don't cost much, look really good, and everyone who gets one gets a ton of use out of them. They are often just right in that you can easily stick it in your back pocket for the ride up, and it is just the thing on the ride down. I don’t particularly recommend the rain jacket, the ones we got just ended up sitting around mostly unused. The thermal jackets are nice, but really only got used in January, and only by those who have a harder time keeping warm. What’s the difference between a “Velocity” jersey and a “Pro” jersey? We will have fit kits for both in late November - come check them out and see for yourself! 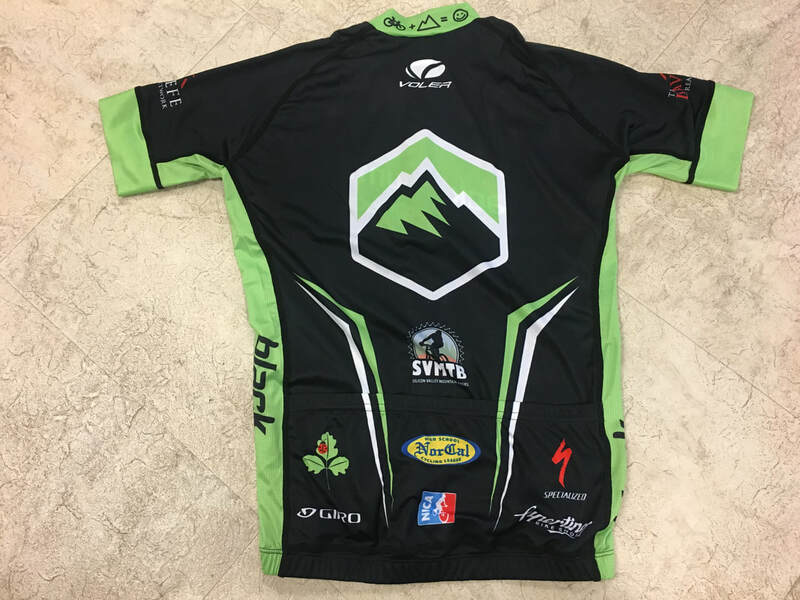 Most kids get the Pro jerseys, but some of us have been using the Velocity jerseys for cyclocross and we really like them. Velocity is thinner/cooler and generally tighter fitting and stretchier. So the Velocity fit is a little more "roadie", but this is popular with the faster racers. For boys, bibs are highly recommended for comfort and speed. Shorts are too constricting and they actually slow you down as a result. For girls, the tradeoffs are a little different because many girls find that the shorts aren’t that constricting, so most girls opt for the shorts because they’re a lot more convenient - with bibs, you have to take off your shirt to take off your pants and this can be a real pain when visiting the porta-potties at races. However, if you want the best for comfort and speed bibs are still the way to go, and most serious women racers use bibs. Roadies always have the tightest most aero fit possible. General MTB culture tends to opt for baggies and loose fitting shirts. Cross Country MTB racers are a bit of a mix, but at NorCal the trend is clear - speed is king and the faster the racer is, the tighter they like their kit to fit. At states you’ll see that at SoCal style has a strong say, and a decent percentage of the SoCal riders are racing in baggies. Having said that, loose bibs/shorts are never good - they are not as comfortable and can snag on your seat during an emergency dismount/remount. Can I get a roadsuit? Yes you can. Some of the fastest racers opt for a one piece roadsuit for comfort and fit. There is no such thing as snagging your jersey on your seat in a roadsuit. Last year our top racer had a great experience with his Velocity Road Skinsuit, and rode it to a 10th place Varsity finish at States. Still they’re not that common even at NorCal, but if the fastest racers are choosing them there is a reason for it. If you're racing Varsity, you should at least consider it. Do Middle Schoolers need a kit? There are no NICA NorCal races for Middle Schoolers (yet! ), so no need to have a kit. However if you're riding practices with us you'll want cycling clothes and these are popular among people riding with the team! 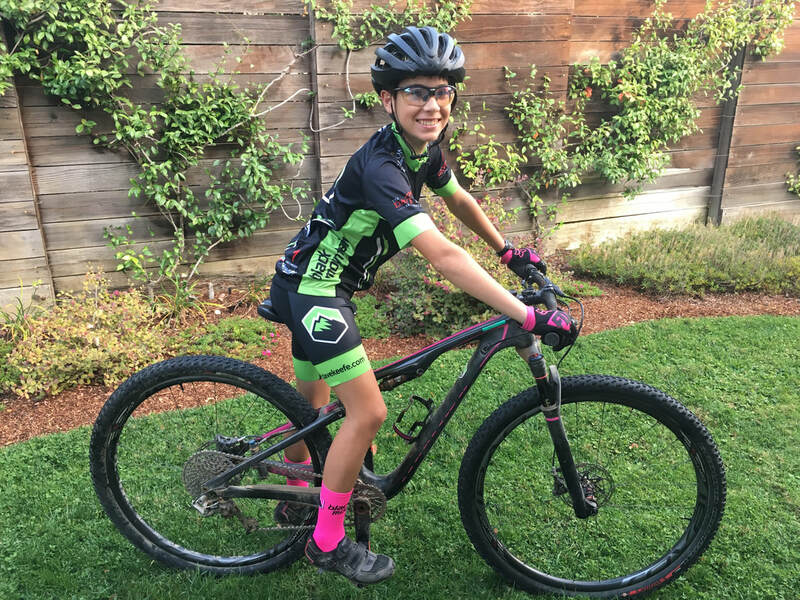 Also, if you plan to race Sea Otter or CCCX races, a lot of the middle schoolers who ride with us race in a Black Mountain kit at these events. Plus, they look sharp!